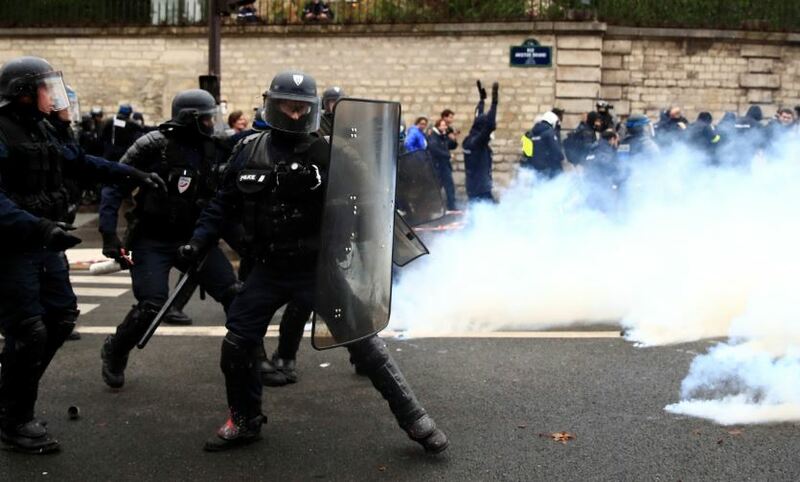 Paris police said at least 110 people over the weekend, including 20 police officers, were injured in the violent protests, which originated Saturday morning near the Arc de Triomphe and continued into the night. The so-called Yellow Vest protests are unusual as none of them were sanctioned by the country’s powerful unions or politicians – and they are composed of a mixture of right-wing and left-wing populist elements. None of this strife bodes well for Macron, whose approval rating is low. Only 26 percent of French people say they have confidence in the embattled president, according to a poll from Kantar Public, which surveyed 1,000 people in October. Much of the turmoil came after Macron enacted sky-high gas taxes to tackle what he believes could doom humanity within the next decade: global warming. But many French citizens see them as an example of the French president’s inability to understand the plight of the country’s working class.